After the most recent General Conference in April, my uncle, a member of the second quorum of the 70, told us that their training meetings specifically, and almost exclusively, focused on one topic to teach about as the travel around the units of the church all over the world. I had the opportunity to hear Elder Rasband, the Senior President of the Presidency of the Seventy, speak in a sacrament meeting a couple weeks ago and he spoke on the same topic emphasizing it’s importance. This Sunday our High Councilman spoke on the same topic for his address and specified we would be hearing more on this topic. The topic that is the focus of such attention and concern is the 4th commandment: Remember the Sabbath day, to keep it holy. You may even remember that Elder Nelson closed the April Conference with a talk on the Sabbath day. There so many things out there that are overwhelming and feel so urgent, addiction, breaking down of families, danger to religious freedom, etc. Why should focus on Sabbath day observance supersede all these other things? Since April, when the emphasis on this topic was originally introduced to me, I have been thinking about why this is something so strongly focused on. I have come to hypothesize that if we are truly making our Sundays a proper day of worship we will increase obedience in many other areas. Just to name a few! 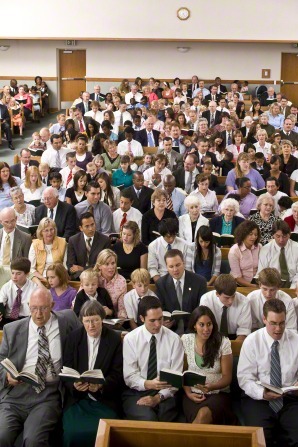 Properly observing the Sabbath day is an umbrella that covers a multitude of attitudes and behaviors that lead to true conversion, and bring us closer to, and to become more like, our Savior, Jesus Christ. Remember, immediate adherence and perfection is not expected, we only need to continually work toward that goal. Keeping the Sabbath day holy is not something I have personally focused on much, and there is room for improvement. I need to increase my obedience on the Sabbath day, not out of duty, but because I love God and want to become more like Him. I am excited to strive to be obedient to the counsel of my leaders by increasing my personal observance of the Sabbath day. The atonement doesn’t just work for you, it works for other people too! This is a topic near and dear to my heart. Last year I decided to change just about everything about our Sabbath experience. We made rules about what is allowed and not, certain toys, books, etc are Sunday appropriate and others are not. It has changed the spirit in our home in a huge way. I reccomend changing it in your family too! I also wanted to mention Reverence. Not just being quiet in church, but having a more reverent Sabbath and a more reverent life. It’s a good idea to live in a way that you can receive more revelation and be listening more. One small change I made has made a huge difference. I’ve stopped listening to the radio in the car most of the time and I have spent more time in prayer while driving places, I hear answers more readily as I tune out the noise and tune into the spirit.